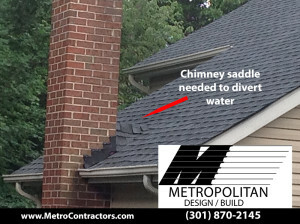 Metropolitan Design/Build can help with just about any type of roof repair. Our expert roofing technicians are skilled and trained at inspecting a residential roof for possible issues. If you have experienced severe weather conditions with powerful winds, ice, hail or other harsh conditions it is critical that you have your roof inspected right away. If your roof was damaged because of a passing storm, we can provide you with insurance claim assistance and can start roofing repairs or emergency repairs and services to prevent any further damage. Metropolitan Design/Build has numerous roofing testimonials and can provide homeowners with references upon request for our emergency hail damage repair services. 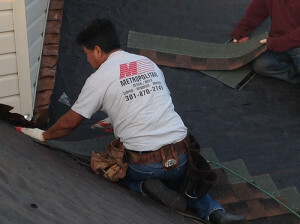 If you need a new roof installed, Metropolitan Design/Build has the experience to get the job done from start to finish. We can assist in providing a variety of options in roofing materials and color selections. Our roof installers are GAF certified and continue certifications and follow the latest roofing trends to ensure that your roof is installed properly and the way manufacturers require products to be installed for warranties purposes. We work hard to ensure that all of our re-roof projects are completed timely and professionally. Our job is only done when you, the homeowner, are satisfied with all aspects of the project. leak can be quickly be addressed and most of the time can be effectively fixed with minimal cost in a very short period of time. Many times homeowners have a known roof leak and wait way too long to before calling in a professional to address the problem. 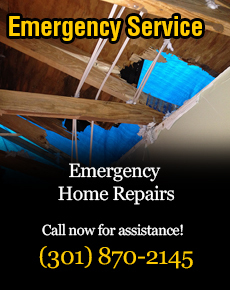 Putting off a roof leak only will cause costly damages. If you think you have a leak, contact us right away and we can inspect your roof and provide you with a solution quickly. Are your roof shingles loose, missing or curling? If so, it is important that you have them secured or replaced. The shingles on your roof are your first line of defense when it comes to the harsh elements. If you leave them in disrepair or allow them to leak water, you will experience damage to other parts of your home from rainwater. If you see loose or missing shingles on your home, contact us to examine the roof up close and we’ll be glad to fix things up quickly. Our roof inspections cover the entire roof and all of its components. Our reliable and experienced roofing professionals can provide you with an accurate estimate for your roof repair or roof replacement. We can explain what materials will be needed for your roof project and provide you with the different options that may be available. We take the time to explain the differences in roofing material grades and warranties and provide a variety of color options and roof shingle styles and shapes to choose from. It is our goal to provide you with the best roofing consulting services and explain our full product range so you are able to make the best choice for your budget and needs. We pride ourselves on superior customer service. Our roof professionals will inform you if a water and ice shield product is recommended for your roofing project or repair. At Metropolitan Design/Build each project we take on –big or small — is treated as a custom roofing assignment. Our installers are trained and skilled in their trade. We pay close attention to detail on every project. Many things can go wrong if a roof is not properly installed and should only be installed by a trained certified licensed roofer. Our commitment to our customers is to ensure we build total reliability into your roofing system.